Microsoft is releasing 11 bulletins (5 critical, 5 important, 1 moderate) covering a total of 25 vulnerabilities. 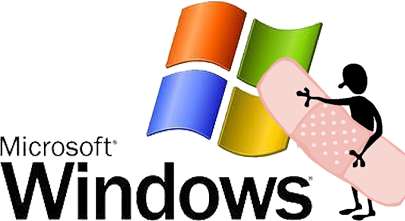 The critical patches affect SMB clients, Media Services, DirectShow, Media Player, and Windows Authenticode Signature Verification which could result in systems being compromised after successful exploitation if not patched. The important and moderate patches affect ISATAP, Exchange, VBScript, Publisher, Visio, and the Windows kernel. -Install vendor patches as soon as they are available. However, apply in a testing environment before rolling them out in a production environment. Those who do not test sometimes wait at least a day to hear back from others as to the actual results of the patches. (Sometimes new patches can break functionality or other security components that was already in place). -Avoid handling files from unknown or questionable senders (such as links or attachments in email, social networks, or instant messages). -Block external access to internal systems unless specific access is required. A remote code execution vulnerability affects the Windows Authenticode Signature Verification function when signing and verifying PE or cabinet files. An attacker can exploit this issue by tricking an unsuspecting victim into running a signed PE or cabinet file. Successful exploits will result in the execution of arbitrary attacker-supplied code in the context in which the application was run. Possibly aiding in a complete system compromise. A remote code execution vulnerability affects the Windows Authenticode Signature Verification for ‘.cab’ file formats. An attacker can exploit this issue by tricking an unsuspecting victim into running a signed PE or cabinet file. Successful exploits will result in the execution of arbitrary attacker-supplied code in the context in which the application was run. Possibly aiding in a complete system compromise. A remote code-execution vulnerability affects the SMB client due to a memory allocation issue. An attacker can exploit this issue by tricking an unsuspecting victim into connecting to a malicious SMB server. A successful exploit will result in the execution of arbitrary attacker-supplied code with SYSTEM-level privileges. A remote code-execution vulnerability affects the SMB client because it improperly validates fields in an SMB response. An attacker can exploit this issue by tricking an unsuspecting victim into connecting to a malicious SMB server. A successful exploit will result in the execution of arbitrary attacker-supplied code with SYSTEM-level privileges. A remote code-execution vulnerability affects the SMB client because of how it parses SMB transaction responses. An attacker can exploit this issue by tricking an unsuspecting victim into connecting to a malicious SMB server. A successful exploit will result in the execution of arbitrary attacker-supplied code with SYSTEM-level privileges. A remote code-execution vulnerability affects the SMB client because of how it handles malformed SMB responses. An attacker can exploit this issue by tricking an unsuspecting victim into connecting to a malicious SMB server. A successful exploit will result in the execution of arbitrary attacker-supplied code with SYSTEM-level privileges. A remote code execution vulnerability affects Microsoft Windows when running the optional Windows Media Services component when handling specially crafted transport information packets. An attacker can exploit this issue by sending a malicious packet to an affected computer. Successful exploits will result in the execution of arbitrary attacker-supplied code with SYSTEM-level privileges. A remote code-execution vulnerability affects the Microsoft MPEG Layer-3 codecs when handling a specially crafted AVI media file. An attacker can exploit this issue by tricking an unsuspecting victim into opening a malicious AVI file. A successful exploit will result in the execution of arbitrary attacker-supplied code in the context of the currently logged-in user. A remote code-execution vulnerability affects the Media Player ActiveX control. An attacker can exploit this issue by tricking an unsuspecting victim into viewing a specially crafted web page.